← How to stamp barcodes to a PDF file and fill the PDF forms? Do you have an SDK that converts a PDF to xFDF? The solution will be developed in Visual Studio 2015. 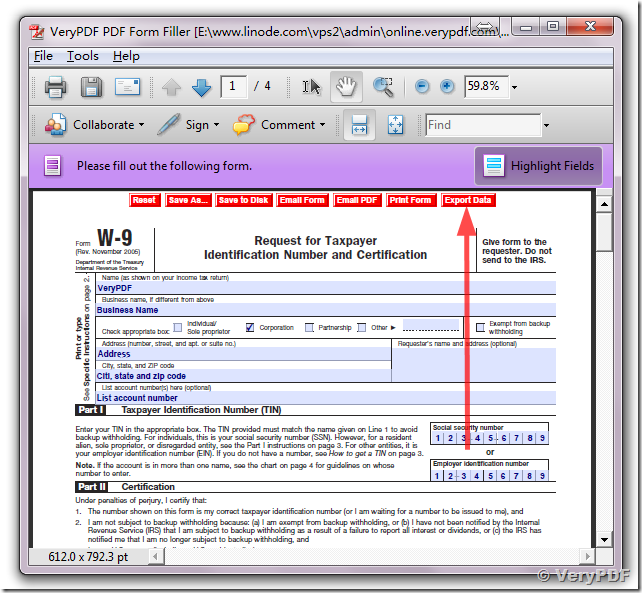 You can use "VeryPDF PDF Form Filler SDK" and "VeryPDF PDF Form Filler OCX" products to generate a XFDF from a PDF file, combine XFDF into fillable PDF and flatten a fillable PDF file to a static PDF file, you may download above products from our website to try, if you encounter any problem with them, please feel free to let us know, we will assist you asap. How can I use PDF Form Filler to fill the scanned PDF document? This entry was posted in PDF Form Filler and tagged flatten form, flatten PDF form, generate xfdf, import xfdf, pdf form filler. Bookmark the permalink.